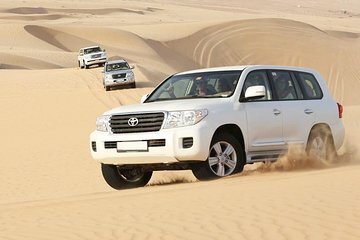 Escape the city bustle of Dubai with a half-day desert safari. Get picked up at your hotel and visit the desert during the cool morning hours for camel riding, skiing on the golden sands, and dune bashing. Complete the experience with a stop at a Bedouin camel farm and take pictures with the animals.